They’re still trying to figure out what happened. 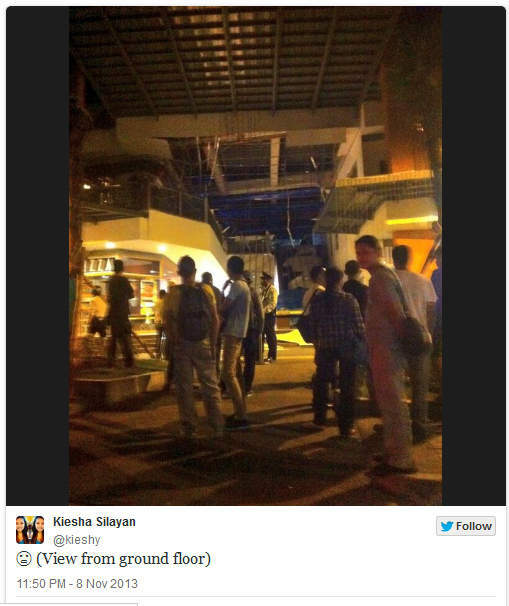 GMA News Online, citing concerned citizen Kiesha Silayan, reports that a section of ceiling of the UP Town Center mall along Katipunan Avenue collapsed at around 11:18 p.m. on Friday, November 7. The cause of the collapse is yet to be determined.